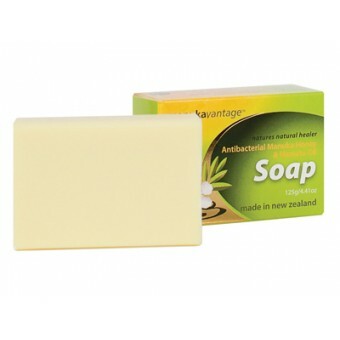 Manukavantage™ natures natural healer, this range features the exceptional natural healing properties of premium certified New Zealand Manuka Honey 80+ and Manuka Oil. 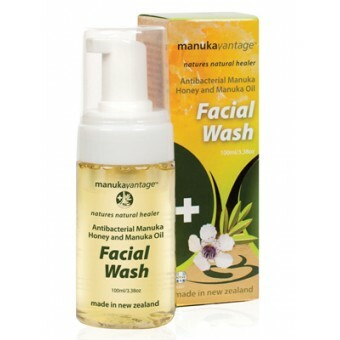 Manukavantage™ skincare products all contain premium certified New Zealand Manuka Honey 80+, a uniquely tested Manuka Honey. Manuka Honey contains special antibacterial properties including an enzyme that produces Hydrogen Peroxide which is a proven antiseptic and antibacterial agent. Manuka Honey also contains antioxidants that neutralise free radicals which are responsible for skin cell damage; while assisting in the growth of new cells, and tissue regeneration. Additionally, Manuka Honey is a natural humectant; acting to prevent loss of moisture thereby retaining the skin's natural moisture. Every Manukavantage™ product contains premium certified New Zealand Manuka Honey 80+, Manuka Honey that has been tested under tight controls which assesses the purity of the honey based on pollen count. This testing ensures that the product we bring to market contains the greatest levels of natural Manuka properties; which make Manuka Honey unique for its abilities in helping to enhance the health and appearance of the skin. The manuka oil chose to use in the Manukavantage™ range of therapeutic health care products is extracted from the young leaf tips that are harvested in the wild from regenerating sustainable Manuka trees located in the East Cape region of New Zealand. Not only is this Manuka oil a renewable resource, testing has proven that the oil from this small region is 20 – 30 times more active than Australian Tea Tree oil, meaning the levels of anti-microbial activity (the substance that kills or inhibits the growth of bacteria and fungi) from this are also much higher in comparison. 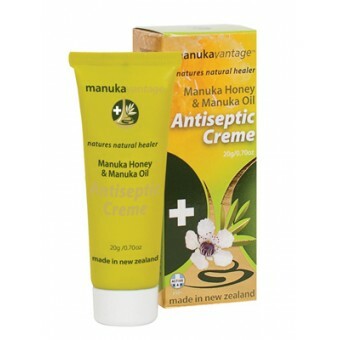 Manuka Oil is proven for the treatment of common ailments such as Athletes Foot, dandruff and acne. 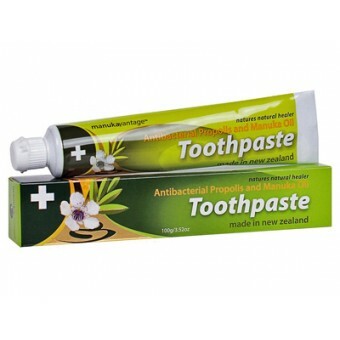 It is also an effective antihistamine – rapidly removing the itchiness, irritation and sting from insect bites and stings and from skin reactions due to contact with stinging plants such as nettle. It also helps reduce inflammation and is particularly effective with itchy, irritated skin conditions.